Wayfaring Wanderer: Greeting from KRAKOW! I received this in the mail yesterday. This building is called "Cloth Hall" or Sukiennice . From what I have read this building dates back to the 1300's! Me: Whoa, that's a long time. Here are some photos courtesy of Karkow's very own website. "I Love Postcards in the Mail!" 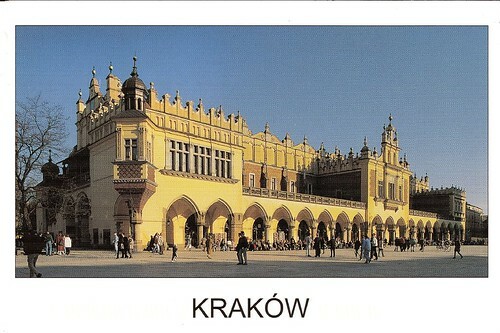 I've heard of Krakow but I couldn't tell you where it was. Wow I learned something today. I am with you Jessica. 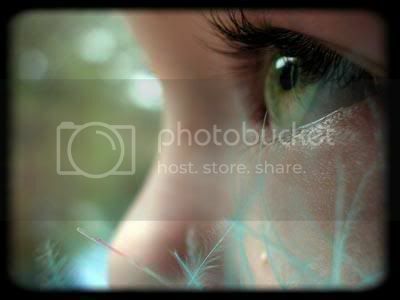 I know so little about the world. 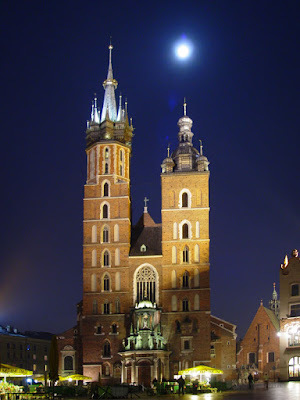 I knew of Krakow, but didn't know it had such amazing (and old!) architecture! Who was the postcard from, lucky girl? TD: I'm glad you could learn something new here :) I got the PC from a postcard exchange, I can never get anyone to send them to me anymore. So, I signed up with other people who are as crazy about collecting them as I am. Her name is Aleksandra though. The is the first PC I rec'd from the exchange so I was quite excited!! I did a tour of Poland a couple of years back. The amazing thing about this beautiful country is that it was almost completely flattened during the World War II, and they have painstakingly rebuilt it brick by brick, restoring it back to its original beauty. 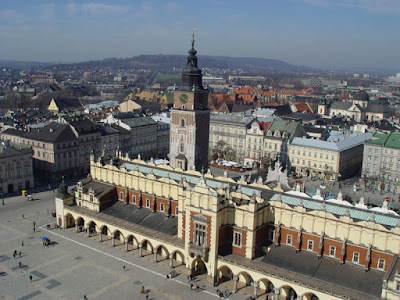 Krakow is indeed a wonderful city, which has recently become increasingly cosmopolitan. It is also the location of Auschwitz Concentration camp - which is a strak reminder of the past. Below is a link to the post on my blog, if you would like to see some of the photographs that I took in Poland.